In GBA 280 we get better acquainted with Joe Marshall. He talks about his journey from being a child who thought words weren't for him due to dyslexia and bad education to eventually becoming an award winning travel writer. Along the way we talk words, true stories, depression, hair beading in Cornwall and what crap rooms can tell us about the housing crisis. 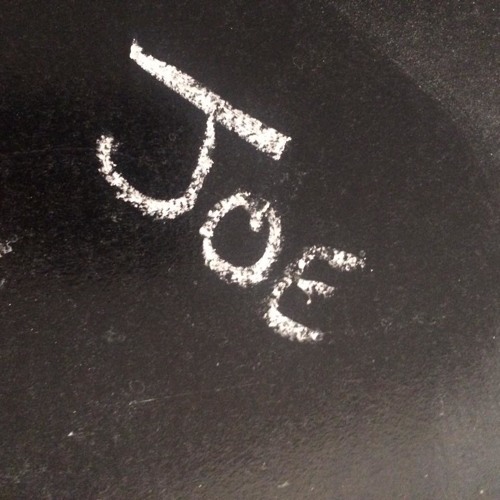 Joe plugs: Crap Rooms London: https://twitter.com/craproomslondon https://www.facebook.com/craproomslondon/ Mundial: http://mundialmag.com/ Sabotage Times: http://sabotagetimes.com https://twitter.com/SabotageTimes Joe's writing: https://joemarshallwriting.wordpress.com/ Twitter: https://twitter.com/JGMarshallWrite Spark London http://stories.co.uk I don't plug The Family Tree in the episode but I will in these notes: http://thefamilytreepodcast.co.uk/ http:// www.patreon.com/thefamilytreepodcast We mention: Steve Sinnott Foundation: http://www.stevesinnottfoundation.org.uk/ Joanna Yates: https://soundcloud.com/gettingbetteracquainted/gba-32-joanna-yates The Moth: https://themoth.org/ Cooper Union: https://cooper.edu/ Charley: https://twitter.com/charleylucyha Spark Bristol: http://www.sparkbristol.org.uk Spark Preston: http://www.sparkpreston.org.uk/ Spark Glasgow: http://stories.co.uk/glasgow/ Lizzanne: https://soundcloud.com/gettingbetteracquainted/gba-211-lizanne Ableism: https://en.wikipedia.org/wiki/Ableism Which Magazine: http://www.which.co.uk/ Asterix: https://en.wikipedia.org/wiki/Asterix Tintin: https://en.wikipedia.org/wiki/The_Adventures_of_Tintin The Hobbit: https://en.wikipedia.org/wiki/The_Hobbit Lord of the Rings: https://en.wikipedia.org/wiki/The_Lord_of_the_Rings Padstow: https://en.wikipedia.org/wiki/Padstow Camel Trail: https://en.wikipedia.org/wiki/Camel_Trail Laos: https://en.wikipedia.org/wiki/Laos My blog post for my final job: http://davepickeringblog.blogspot.co.uk/2014/04/a-week-of-goodbyes.html Myspace: https://en.wikipedia.org/wiki/Myspace Joe in the Telegraph: http://www.telegraph.co.uk/travel/destinations/south-america/peru/articles/Just-back-the-mysterious-sarcophagi-of-Karajia/ Gherkin: https://en.wikipedia.org/wiki/The_Gherkin Shard: https://en.wikipedia.org/wiki/The_Shard Focus e15: https://soundcloud.com/gettingbetteracquainted/gba-179-focus-e15-mothers https://focuse15.org/ Focus e15 play: http://www.newhamrecorder.co.uk/news/play_about_focus_e15_mums_wins_rave_reviews_at_edinburgh_fringe_1_4659411 Radical Housing Network: https://radicalhousingnetwork.org/ Help more people get better acquainted. If you like what you hear why not write an iTunes review? Follow @GBApodcast on Twitter. Like Getting Better Acquainted on facebook. Tell your friends. Spread the word!